Duck Pond Market is going to trial two Sundays in Heron Square, where the Saturday market is held, in Richmond. The two dates are Sunday the 28th of November and Sunday the 19th of December from 10.00am to 3.00pm. If these two dates go well, they will propose a weekly Sunday Duck Pond Market at this site. "The market will include local artists and crafters, live local musicians and other interesting stalls. 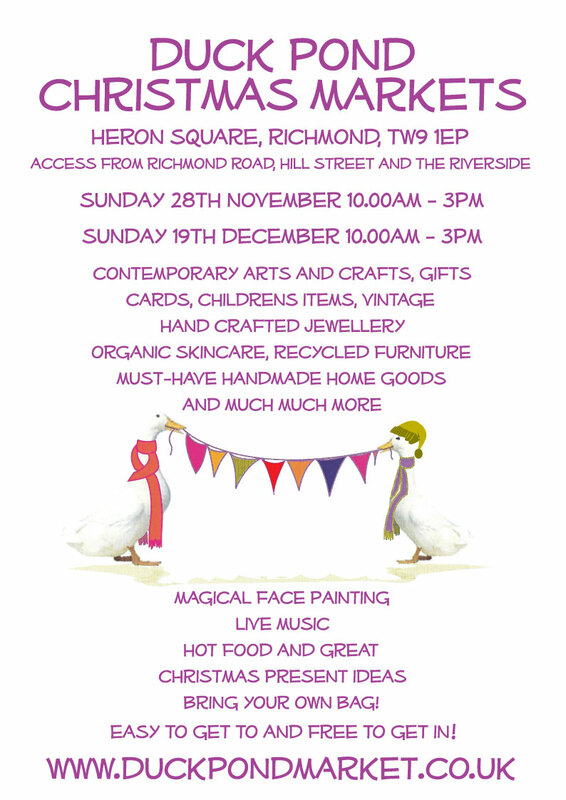 There will be face painting, hot food, make & takes and a real Christmassy vibe, in the elegant setting of the Heron Square, set in the centre of busy Richmond, and accessible from Richmond Road, Hill Street and the riverside."